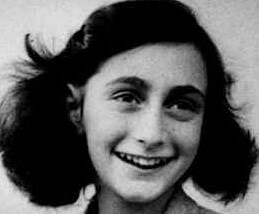 New light may have been shone on who betrayed Anne Frank and her family during World War II, thanks to a new book, news agency ANP reports on Tuesday. A biography of Bep Voskuijl, one of the Frank family’s helpers while they were living in the secret annex in Amsterdam, suggests her sister may have told the Germans about their hiding place. The book was written by Belgian journalist Jeroen de Bruyn and Bep Voskuijl’s youngest son Joop van Wijk. They spoke to several of those involved with the Franks, including another Voskuijl sister and Bep’s fiancé during the war. The writers discovered that sister Nelly Voskuijl, who died in 2001, was a collaborator with the Nazis from the age of 19 to 23. ‘It was a painful but unavoidable decision to add Nelly to the long list of suspects,’ the authors write. The identity of the informant who betrayed the Frank family, leading to their deportation and deaths in concentration camps, has never been traced and there have been many theories over the years. Officially only Bep and her father Johan knew the Franks were hiding in the Prinsengracht house. However, the authors have come up with evidence that Nelly may also have known. She once told her sister and father ‘go then, go to your Jews’, the book states. In addition, the informant was said to have the voice of young woman. The authors say it is also puzzling that much of the 35 year correspondence between Bep and Otto Frank, the only family member to survive the war, has disappeared. ‘It could be that some of these missing letters refer to Nelly,’ they speculate. Nevertheless, they say, it would be going too far to conclude Nelly did betray the family.